We can be contacted directly by telephone during normal shop opening hours which are 9.00 am to 5.30 pm Monday to Saturday. We are normally closed on Bank Holidays.Or by e-mail just click on the link at the bottom of this page. 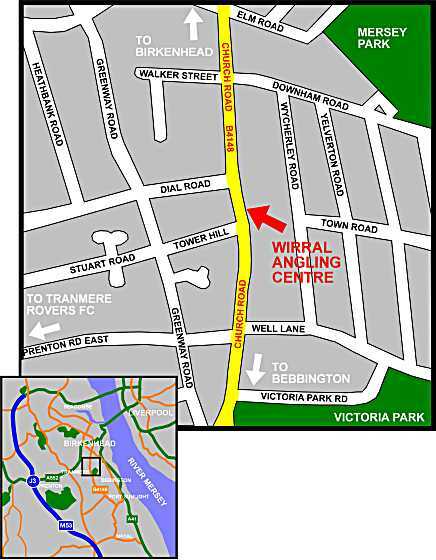 Our shop is located only five minutes drive from Birkenhead City Centre or 10 minutes from the M53 junction 3. Click this link to go to a Multimap page of our location. This will open a PDF file in your browser window. Or to save this file to print, right click the link and select 'save target as' to store this file on your hard disk.